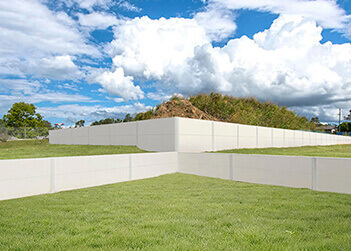 The ModularWalls range of engineered TerraFirm retaining wall panels are perfect for creating strong, durable and visually pleasing retaining walls to compliment the design of your project in both residential and commercial settings. 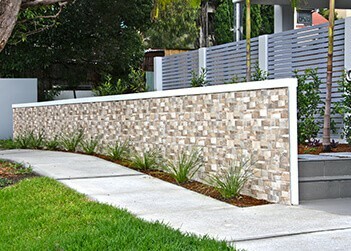 ModularWalls’ range of engineered TerraFirm retaining wall panels are perfect for creating strong, durable and visually pleasing retaining walls to compliment the design of your project in both residential and commercial settings. 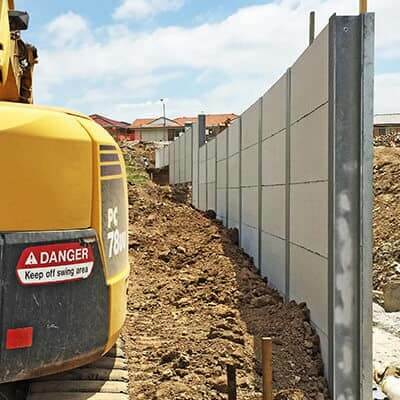 Unlike concrete sleepers which are heavy and leave gaps between stacked sleepers, the TerraFirm retaining wall panels are lightweight reinforced composite panels – enabling faster construction with less requirement for machinery and labour. TerraFirm panels can be used with corresponding modular posts or structural steel depending on the requirements of the job. 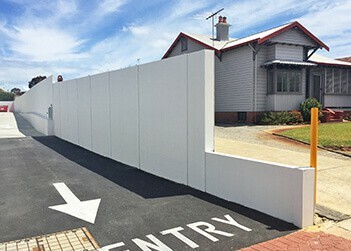 Furthermore, by utilising TerraFirm panels within our wall and fence systems, you can seamlessly integrate retaining capability with your wall or fence requirement to maximise useful land area and elevate the aesthetic outcome of your project with Integrated Retaining & Barrier (or Boundary) Walls, while minimising trades on-site and achieve overall project savings. This childcare utilised the SlimWall fencing system with incorporated retaining wall panels to provide a combined solution, covering both acoustic and retaining requirements. TerraFirmX retaining panel was selected as the best solution to level lots for current development of greenfield land and end to end house and land packages. This large scale development required a vast number of retaining walls, whilst keeping aesthetics, budget, timeline and enviro-friendly practices at the forefront. 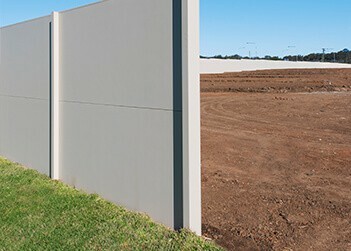 New subdivisions for a master planned community in Cobbitty, NSW, saved money by choosing a combined retaining and acoustic solution. 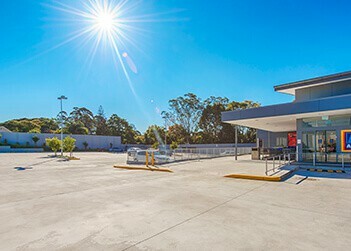 When the discount supermarket that offers smarter shopping was looking for a smarter solution to shield the neighbouring residents from unwanted car park and loading dock noise, it enlisted the noise abatement leaders, ModularWalls. An upmarket apartment block was in need of an aesthetic yet cost-effective retaining solution for their front garden. Having worked with ModularWalls previously, the residential developer was familiar with its ease of installation and adaptability. 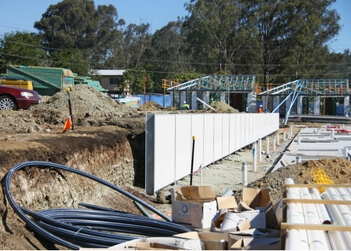 The developer of a multi-storey apartment complex in the Wembley suburb of Perth entered an agreement to build a retaining and acoustic wall that would separate the driveway and car park of the project from the adjacent property. 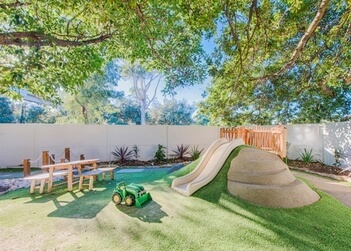 Looking for a commercial retaining solution? Chat about your specific needs with our engineering staff! Give us a ring on 1300 556 957 or shoot us an email. For 24/7 ‘Pressing Questions’ chat to a member of our team on 0417 414 441.